Activate your account. Renew your subscription. Monthly and Annual credit card payment. Invoice records. Update billing details. 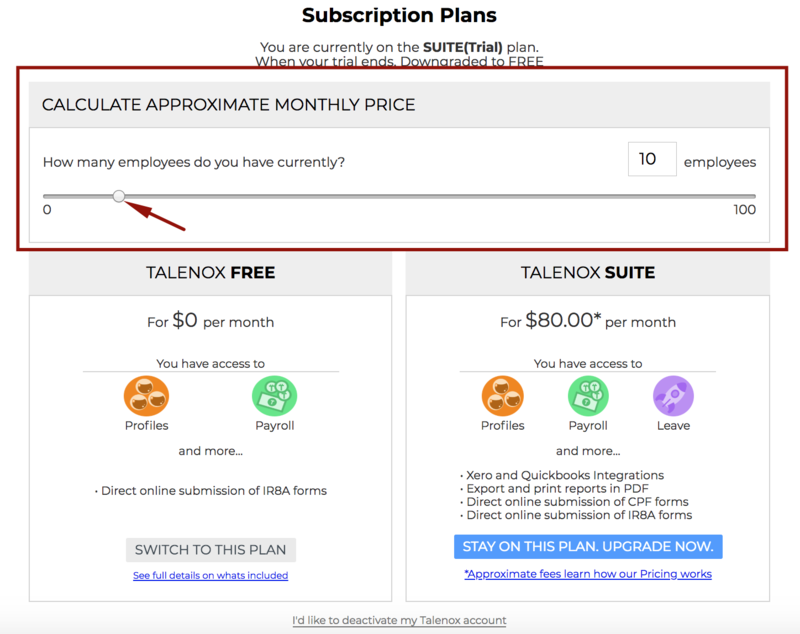 You can activate your Talenox subscription anytime during your trial period by clicking on the Billing Dashboard icon. Once you are at Billing Dashboard page, click on the See Plans button. 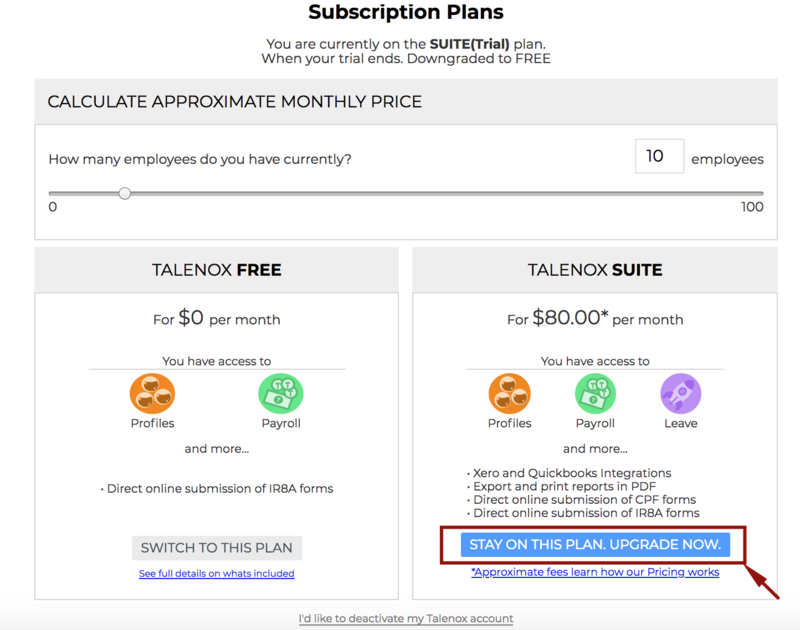 If you wish to continue with the Talenox Suite plan during your trial, head to the Subscription Plans page, then click on the "Stay On This Plan. Upgrade Now" button. Thereafter, you can select the Payment Type i.e. Monthly Recurring or Purchase Credits (Annual Payment). 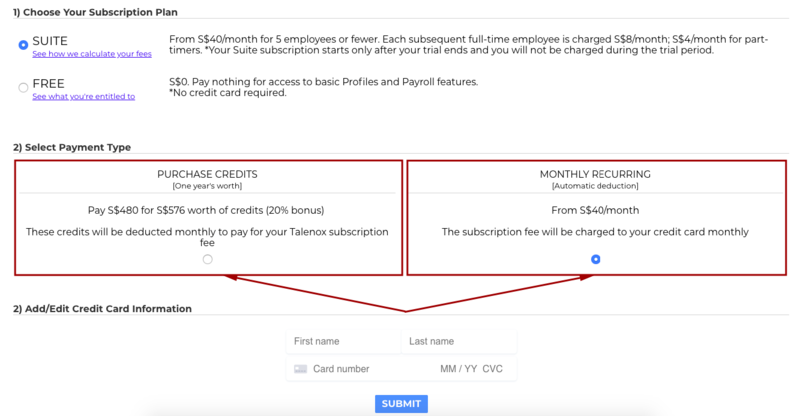 Monthly Recurring payment option will charge based on the current number of headcount in your account. The amount will increase when your headcount increases. Do remember to add your credit/debit card information to ensure the subscription process is successful. 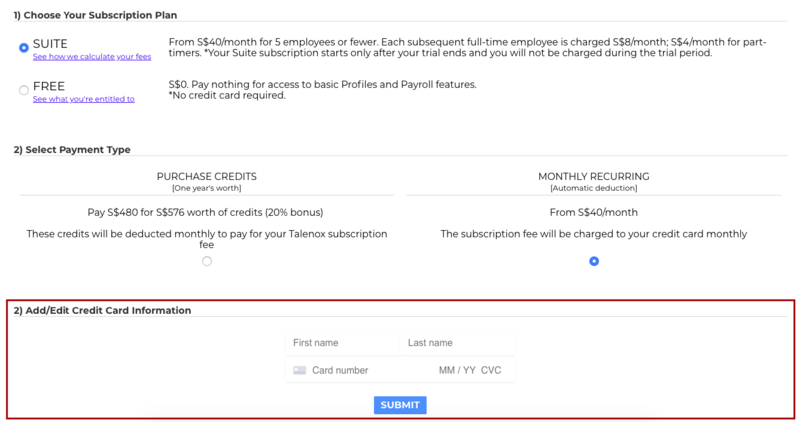 If you have chosen the Purchase Credits (Annual Payment) option, you will be able to track the credits balance (which will be deducted on a monthly basis) in the Billing Dashboard page. Upon payment completion, the SUITE subscription will only begin after the trial ends if you are still on the 30-day free trial period. 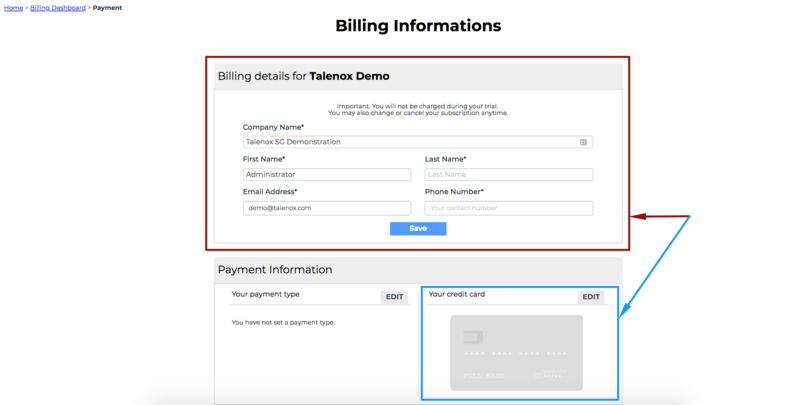 Thereafter, you can view invoices in the Billing Dashboard page and proceed to download then (if need to! ).